As a singer-songwriter and classically trained pianist, Charles Duke captures feelings of love and justice in thoughtful ways. His soulful sound is sincere, and that sincerity resonates powerfully in his live performances. His February 13 show was one of his most important ones yet. 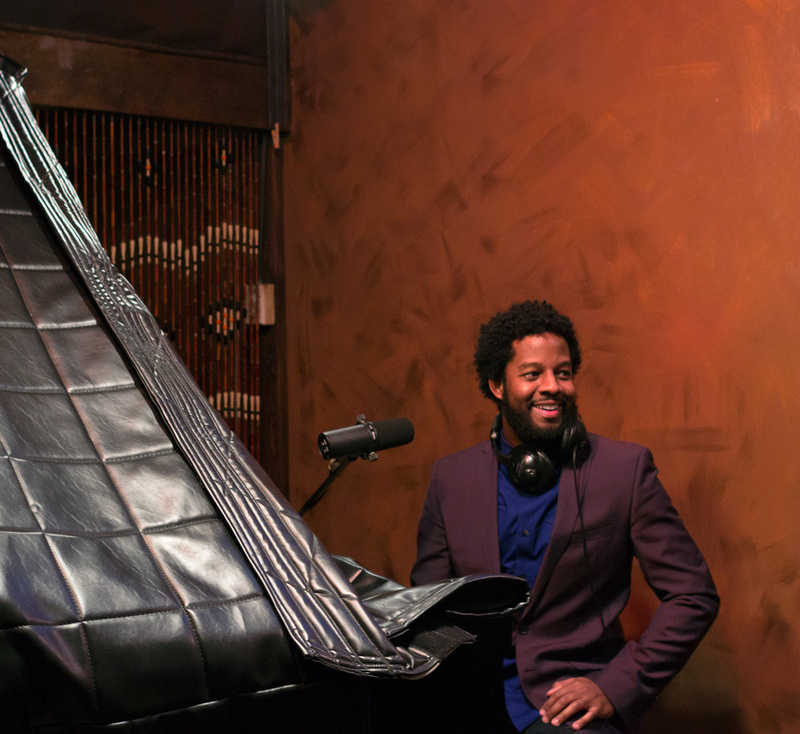 It was an indie musician’s dream: Charles was confirmed as the sole performer at Sugar Bar, a venue founded by the legendary songwriting duo Ashford & Simpson, on Valentine’s Day weekend. Romantic dates and soul music? A perfect combination. In light of the good news, Charles saw opportunity to ramp up his marketing efforts, specifically to connect with a new audience looking for musical accompaniments to love. He wanted a social media campaign that drove ticket sales, and that told his story compellingly and cohesively. *All social media numbers are in comparison to the same length of time prior to the campaign's duration. 1). Identify and create a brand-affirmative campaign look that reinforced consistent messaging across all channels. In conversation with Charles, I learned that he particularly wanted to share the joy and self-expression he experienced through songwriting. Many of his songs were also inspired by the color blue – it shaped their moods. Prior to our collaboration, these parts of his story weren’t being told, so I aimed to change that. We used shades of blue, handwritten words and rose petals to frame his Valentine’s concert in ways that made him shine as a unique artist. All images were composed, photographed and edited by me. 2). Build a robust Instagram hashtag strategy that positioned Charles in both interest and location-based communities. In terms of engagement and post frequency, Instagram is Charles’ most active platform. Building on this pre-existing behavior, I made Instagram a key marketing channel. I set a hashtag minimum for each post, identifying hashtags that aligned with Charles’ brand identifiers. This included #singersongwriter, #musicislove and #nycmusicscene. For each post, I included a mix of high, medium and low-volume hashtags. For Charles “high-volume” referred to hashtags that have 100, 000 to one million+ posts attributed to it. “Medium-volume” referred to hashtags that have 100, 000 to 10, 000 posts, and “low-volume” referred to hashtags that have 10, 000 and less posts. This ensured that Charles’ content reached both large and niche hashtag communities. As a result of these efforts, as well as our strong campaign visuals, Charles’ average number of likes per post grew by 82% and his average number of comments grew by 152%, compared to the same number of posts prior to the campaign launch. 3). Leverage event-based publications to expand awareness of Charles’ show and music. Thinking beyond his established social media presences while recognizing campaign budget constraints, I proactively sought free opportunities to promote Charles’ concert in select publications that highlighted local music events. I compiled a list that included Village Voice, Eventful and Yelp, then crafted promotional copy for each listing, incorporating our campaign visuals to maintain consistency in these outreach efforts. This tactic broadened his reach and pointed each accepted publication’s audience back to Charles’ concert landing page and social media presences. 4). Leverage Facebook video ads through thoughtful targeting. Leading up to his show, Charles released a beautiful music video for his original song Cupid's Arrow. As part of our promotional campaign, I used the video for a small Facebook ad, specifically targeting residents in the New York City area who were fans or friends of fans of Charles' page. As a result of this effort, the video garnered over 3, 000 views in less than two weeks. Many of the attendees for the show also mentioned buying tickets as a direct result of seeing the video. With a supportive crowd comprised of many new fans, Charles put on an inspiring show. The music he played connected to the story he told leading up to the event, and my creative tactics set a new standard for his future marketing initiatives. I'd love to help you tell your story in compelling and results-driven ways. Let's chat.